New Schlüter Pedestal System Raises the Bar ..
Schlüter-Systems is pleased to announce the debut of Schlüter®-TROBA-LEVEL, a brand-new pedestal system for balconies and terraces. A welcome addition, the seven-part system is the first loose-lay option to be offered by the company and is fully compatible with its other balcony and terrace solutions. The TROBA-LEVEL system is stackable and can be combined to form heights between 3mm – 1000mm, making it adaptable to a wide range of project situations. Broadening the possibilities for flow and transitions between different landscape elements, the system can also accommodate a slope of up to 10%. Manufactured in polyethylene and polypropylene, the TROBA-LEVEL system is also UV resistant, recyclable, durable (each pedestal supports >1000kg). 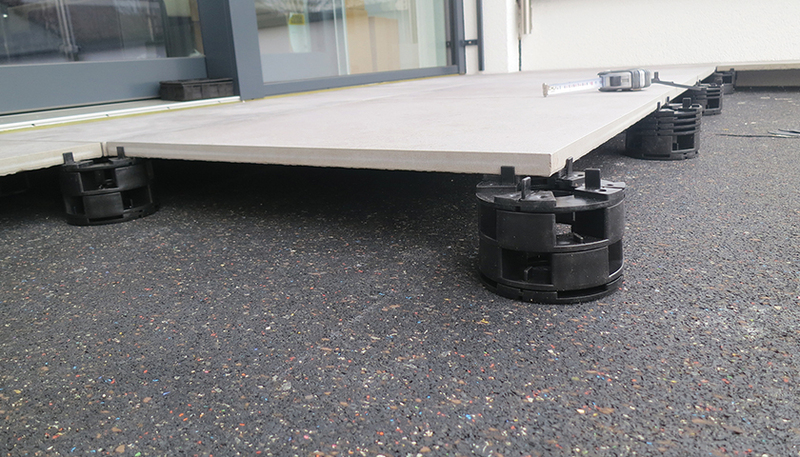 To find out more about a new pedestal system by Schlüter-Systems, please click here.